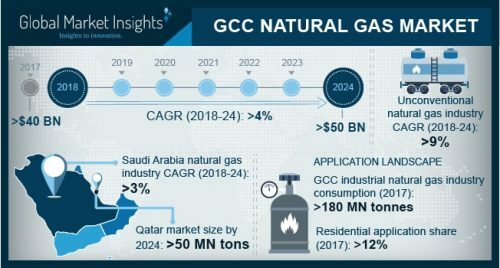 Qatar natural gas market is expected to exceed 50 million tons by 2024 as positive consumer outlook toward LNG production accompanied by abundant availability of natural gas reserves will propel the industry growth. The GCC Natural Gas Market is expected to hit USD 50 Billion by 2024, as reported in the latest study by Global Market Insights, Inc. 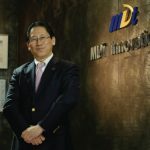 Rising concern to maintain fossil fuel sustainability along with stringent regulations to reduce environmental impact will drive the GCC natural gas market size. For instance, in November 2016 Saudi Arabia signed Intended Nationally Determined Contribution and Paris agreement which aims to reduce 130 Mt of CO2 annually by 2030.